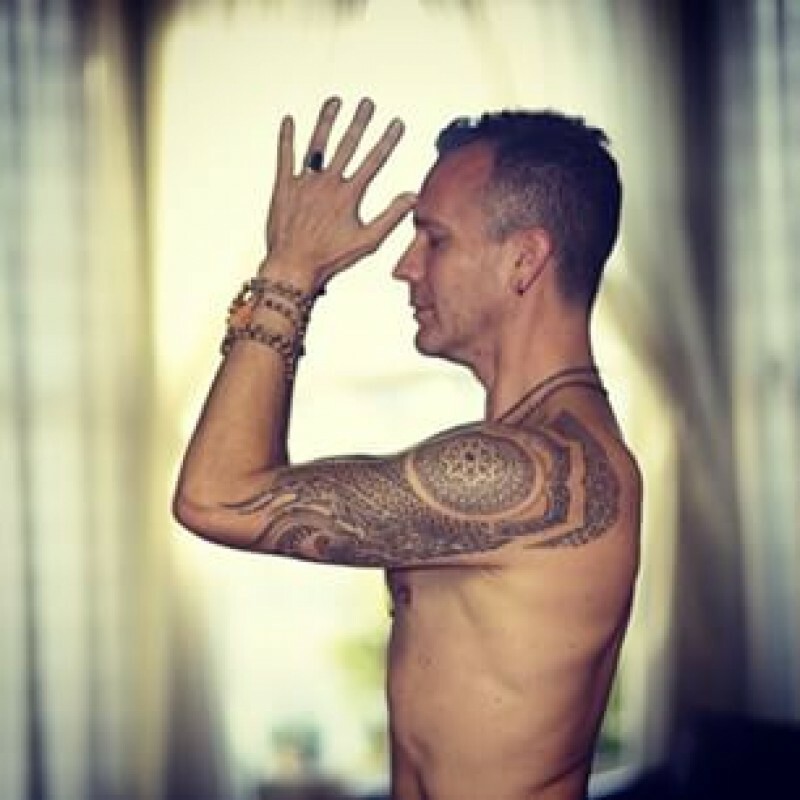 Mark has been practicing a fluid, energized style of Vinyasa yoga since way back 1997, and teaching since 2000. He's been blessed to study with a wonderful variety of powerful, luminous and generous teachers, and has been inspired by — and workshopped with — many of the premier instructors normally name-dropped in this kind of bio, so he'll just avoid doing that here and merely say, he's had a wonderful ride. And it still feels like it's just beginning. Mark's popular classes and workshops are an athletic, challenging and often deliciously irreverent blend of focused breath and strength-building movement (asana) set to great music, all designed to invigorate the body, calm the frenzied urban mind and bring you more fully into the present moment, as you discover — or, more accurately, remember — a more profound notion of Self, one that will doubtlessly enjoy more of your personal attention. He strives to weave in luminous-but-practical threads of yoga philosophy and the 8 limbs into his classes, as well tantalizing tastes of Shivaic Tantrism and Buddhism et al, to infuse/inspire our collective intention and more fully experience spanda, that subtle pulse/tremor of the cosmos. Mark's yoga will give you an opportunity to crack open your heart, peel away layers of urban anxiety, sweat out toxins and bad text messages, drink in spaciousness, build strength and stamina, look tastier in a bathing suit, sample some divine rasa (nectar), find connection and stability in your daily life, and slide through the world with more authentic grace and flexibility. He promises you will never leave his class feeling, breathing, or moving in quite the same way you came in. Bring a towel. Leave your baggage. Peel off your stress, your expectations, your self-imposed limitations. Come for the sweat, stay for the consciousness. It's so good you'll forget you're actually defying gravity.